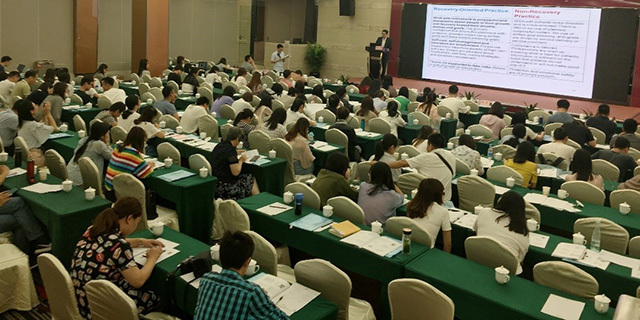 Department of Psychiatry professor and FMDHS China Program member, Chee Ng, delivered training to 200 mental health professionals in Shenzhen, China, from 11-15 June 2018. 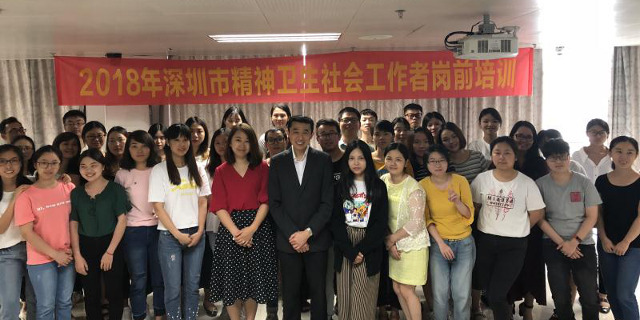 Sharing world-class mental health practice in psychosocial recovery, Prof Ng conducted a training workshop on June 12 for 50 social workers from two districts of Shenzhen. Apart from understanding the scope of mental health social work in Australia, the participants gained useful insights into the psychosocial treatment in community mental health and the principles of working with families. Shenzhen Kangning Hospital is committed to train 800 specialised mental health social workers in the next few years, as part of a comprehensive training program in collaboration with the Department of Psychiatry. 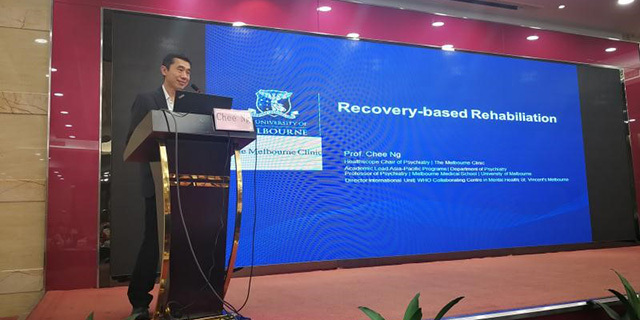 On June 14, Professor Ng provided another training session on mental health rehabilitation to a large group of mental health professionals from across Shenzhen. This training led to inspiring discussions on the principles of recovery approach which could significantly improve the lives of those living with mental health problems. Participants also explored the different meanings of recovery across cultures which could enhance recovery-oriented practices in Shenzhen. During this visit, Professor Ng also met with hospital directors and department managers to plan research projects and publications, and upcoming training in crisis intervention and the Optimal Health Program. Director of Shenzhen Kangning Hospital, Professor Tiebang Liu, expressed his appreciation for the expert training provided by Professor Ng and the strong collaboration with the Department of Psychiatry in the hospital’s future development. Shenzhen Kangning Hospital has a long-term partnership with Department of Psychiatry under the Three Famous Project, which encompasses research, training and clinical supervision across a range of areas in mental health and psychiatry.